Government-owned telco Mahanagar Telephone Nigam Limited (MTNL) has partnered with Jaipur- based Bharat Berry Technologies Pvt. Ltd., a mobile communication service provider, to deliver push- email services for its 8 million plus mobile subscribers in Mumbai and Delhi today. With the help of "Push E-mail", mobile users can get new emails automatically without needing to refresh their email accounts (pull e-mail) since the e-mails are actively transferred by the service. "This MTNL and Bharat Berry partnership will provide its customers with an easy to use, cost effective solution for their mobile push e-mail requirements. As the mobile data connectivity is improving and data usage is growing, more and more customers are looking for push e-mail solution on their mobile handsets as a productivity tool and as a means to remain connected." said Kuldip Singh, Chairman and Managing Director, MTNL, in a media release. 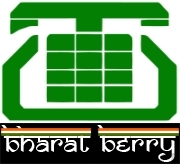 Bharatberry, a mobile communication service provider was launched in 2010 and offers an India-compliant solution to the existing users of push mail services such as Blackberry in India. In addition to this the company provides over the air (OTA) synchronisation of calendar and contacts for multiple mail accounts. "Bharat Berry works through a mix of its very advanced e-mail server known as XGeNPlus, and open source technologies. Since its servers are hosted in India, there are also no issues related with compliance. It's India's first legally compliant and approved service," said Nitin Walia, Director, Bharat Berry Technologies. The service is available for both pre-paid and post-paid customers and the users have a choice of using individual services at a price of Rs.50 per month or enabling all the services including emails and PIM sync for Rs.80 per month. As a launch offer one month free trial for Bharat berry services will be available for all MTNL Mumbai mobile customers.